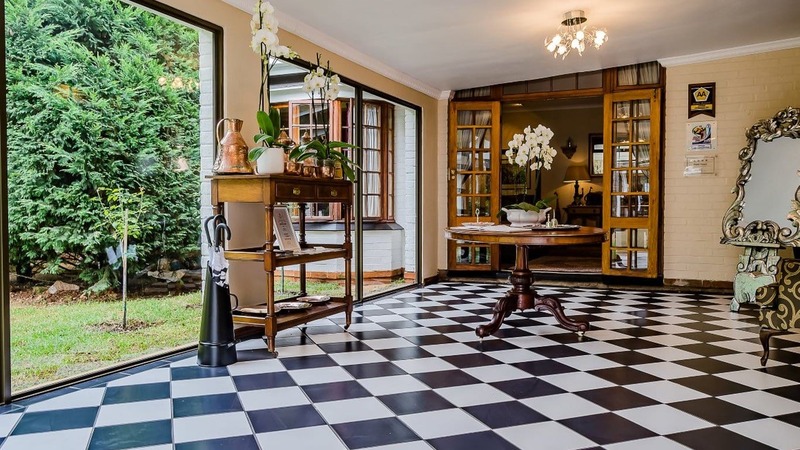 Set in gentle rolling hills, with stud farms and streams, farmlands and small villages, craft shops and eateries, and just one hour from Durban. You will be spoilt for choice to decide on your perfect venue. The places I have chosen take weddings seriously and alleviate the stress of planning your County Wedding whilst attending to every detail as you have instructed. Here are five that I think will make your wedding day the single most important day in your life with all the style and grace that you want. Here dreams can come true. 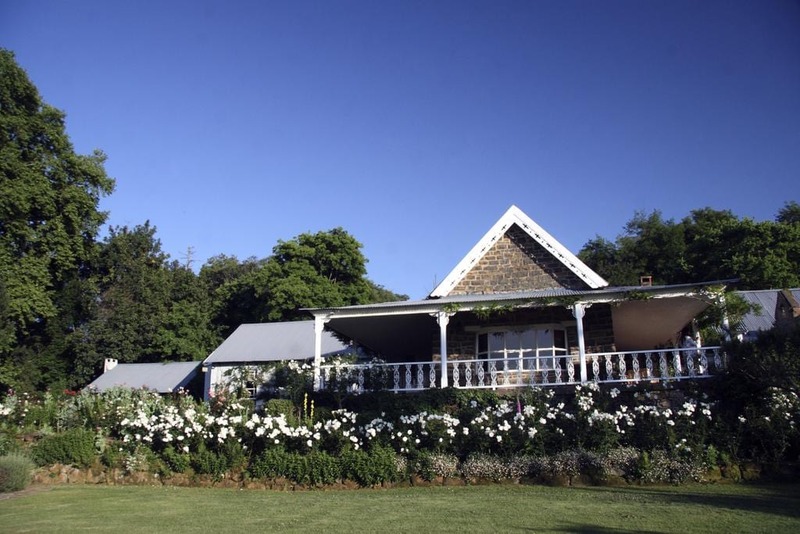 Hartford House is a heritage site in the grounds of the Summerhill Stud farm overlooking the Caversham Valley. It is the only world-class hotel on a world-class stud farm in the world. It is old world, authentic, luxurious and absolutely beautiful. It stands out as one of South Africa’s favourite romantic hideaways with a range of accommodation options. It has great style and each wedding is a unique experience. Hartford House has a delightful, historic chapel on the grounds and a world class spa to luxuriate in. You will be pampered and preened and presented as the beautiful bride and groom that you are. Granny Mouse Country House & Spa, has long been a favourite destination in the Midlands. It is the perfect combination of rural relaxation, luxury, award-winning cuisine coupled with a host of elegant accommodation options fitted out with a fire place and all the mod cons. You get the country hotel hospitality, its own quaint chapel, a first-class Spa to spoil and titivate you to perfection. Enjoy romantic easy walks to the Lions River and waterfall, with over 200 species of birds to enjoy. This is the place for a romantic wedding to remember. 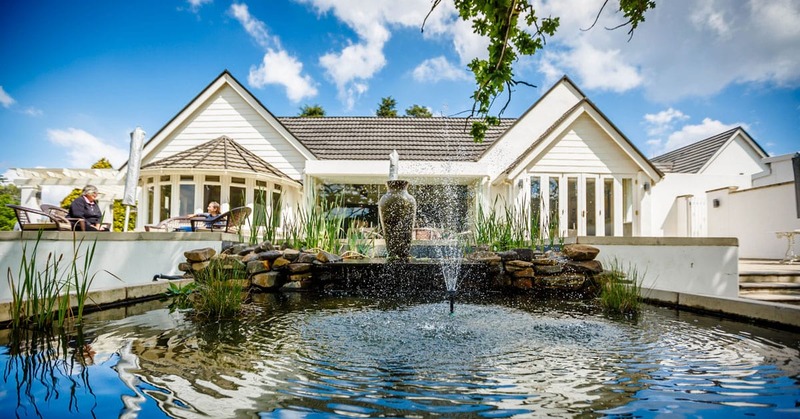 Lythwood Lodge has a more modern feel with country sense of leisure and grace. 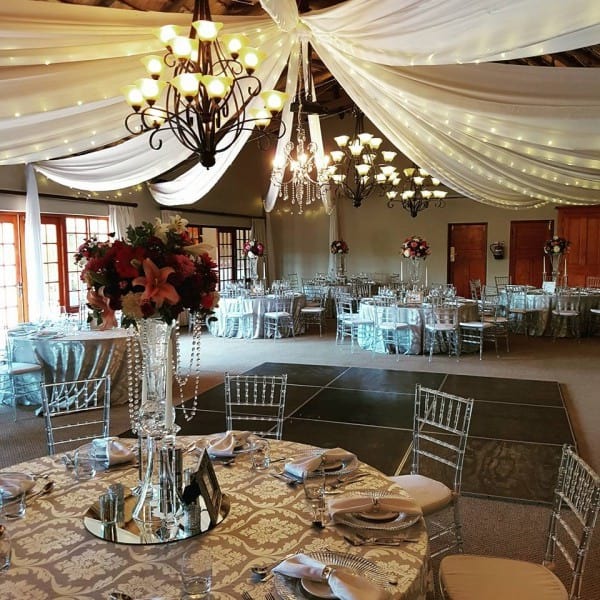 Lythwood Lodge boasts its own rustic chapel in beautiful gardens and a recent addition is an Avellini Tent for the perfect wedding setting. There is a variety of accommodation options and wonderful walking trails for a romantic explore hand in hand around the large estate bordered by the Lions River and natural forest. Lovely choice to celebrate and capture memories. Loxley House offers a fully tailored package that ensures no hidden extras. The luxurious, landscaped garden with numerous scenic backdrops offers some perfect photo opportunities. And if a chapel wedding is to your taste, the All Saints country church is a mere 500m away. They offer a coordination service to ensure that the day is all that you dream of. 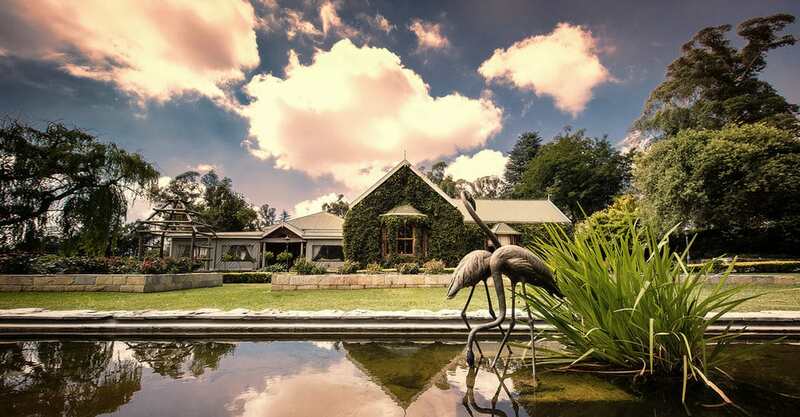 Yellowwood Café is a wonderful historical home, situated on the Fairfell Farm in Howick, and built of local stone in 1872, and is now a National Monument and a heritage site. They do fully catered weddings in a rustic and breath taking setting. 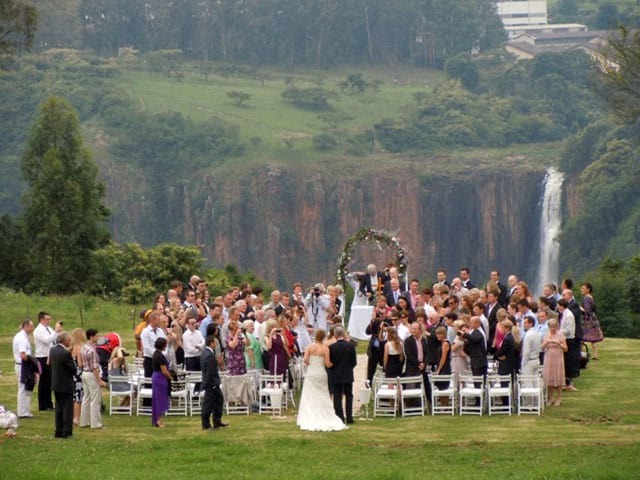 The view of the Howick Falls is unique and makes for a stunning back drop to your wedding photographs, and the collection of miniature farm animals makes for some interesting pictures too. The surrounding area has many accommodation options for you and your guests to choose from. This is a good choice for a less formal more fun wedding reception. 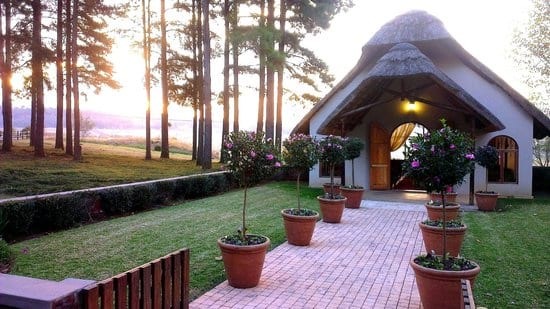 The Midlands Meander is a place to dream and love, to explore, indulge amongst the gentle hills and warm-hearted people who call the KwaZulu-Natal Midlands home. There are adventure options to explore, craft shops to visit, gourmet food farms to stop in at. The Midlands Meander route is situated between the city of Pietermaritzburg in the East and the majestic uKhahlamba Drakensberg mountain range (a World Heritage Site) in the West. A wedding place to return to year after year for your anniversary.